commenced his music career simultaneously in classical and popular music. He studied double bass at the Hochschule für Künste Bremen and completed his studies in various master classes conducted by artists such as Michinori Bunya and Ludwig Streicher. After several years of working as a musician for the Schwerin Philharmonic Orchestra and the Oldenburg Philharmonic Orchestra he now enjoys his career as a freelancer. 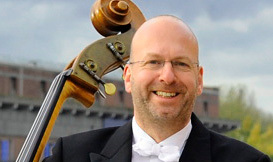 He is a founding member of the Bremer Kaffeehaus-Orchester and also works as a double bass teacher. learned how to play the piano, violin and accordion as a child and the church organ in his youth. He was first introduced to coffee house music by his violin teacher in his childhood and studied piano and church music at the Hochschule für Künste Bremen. 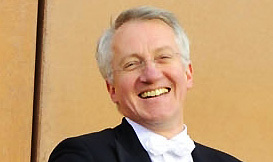 In addition to accompanying singers, instrumental soloists and silent pictures, he works as a choir master, a church organist, orchestra conductor and instrumental pedagogue in Bremen. His passions include travelling, preferably to England. 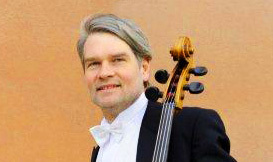 studied violoncello at the Bremen Hochschule für Künste Bremen with professor Hans-Wilhelm Kufferath and has played his instrument in every style and as part of a variety of ensembles since 1994. Among other things, he was the recipient of a scholarship granted by the Richard Wagner Association. He worked for various ensembles, participating in concerts, theatres and studios, including such exotic fields as cool jazz and heavy metal. 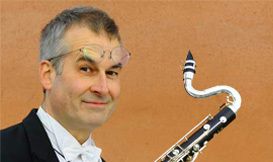 Gero John has been a freelancing musician since 1996 and is also a founding member of the Bremer Kaffeehaus-Orchester. started playing rock and jazz music early and then went on to first study various liberal arts and subsequently music with Carin Levine, Amelie Schilbach and Herb Geller as well as others. While still at the Hochschule für Künste Bremen, he founded the Bremer Kaffeehaus-Orchester together with co-students. The rest is history. After he had started out by playing the flute as part of the Bremer Kaffeehaus-Orchester, he gradually went on to expand his range of instruments. Ihardly had any other choice than to become a musician. He grew up in the family of a Northern German church organist and was literally fed music with his breakfast. As a young boy he played the recorder, trombone and trumpet but at the pressure of the neighbourhood he switched to playing the allegedly more socially acceptable violin. 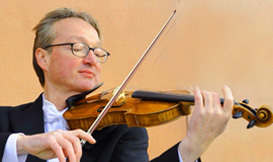 After finishing his higher education, he studied music at the Hochschule für Künste Bremen, specialising in violin with professor Josef Bayerlein. The vuvuzela - an instrument that concentrates all of its powerful intensity and rich sound in one single note - fascinated him as a counterbalance to the multitude of notes that make up the part he plays in the Bremer Kaffeehaus-Orchester as a violinist. Since then he has played the vuvuzela in concerts and recordings as well.